"Mole" redirects here. For other uses, see Mole (disambiguation). These partially blind little fellows find their way through the earth by feeling around, making them more susceptible to getting caught. The Digby development in the Burroughs aided their efforts to push past the Mountain into the Gnawnia region. Due to the dirt in their nostrils, they have a harder time sniffing out cheese. The Mole Mouse is attracted to Standard Cheese. In the Windmill location, the Mole Mouse will not be attracted when hunting with Grilled Cheese. No Charms are required to attract the Mole Mouse. Attraction info and special event loot drops for the Mole Mouse can be found at the individual event location pages. 28 July 2008: The Mole Mouse is released. 16 April 2011: The Mole Mouse began dropping the Blue Argyle Egg as loot as part of the Spring Egg Hunt 2011 event. 29 August 2012: The Mole Mouse began dropping Ancient Relics as loot. 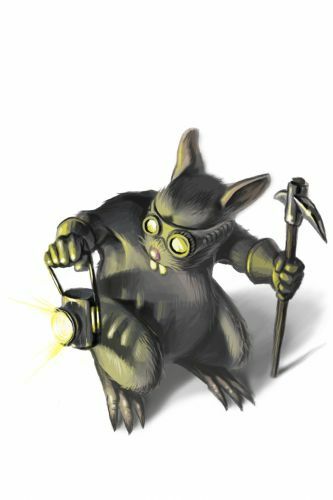 25 June 2013: The Mole Mouse gained a vulnerability to Law power type traps, with the release of Varmint Valley. 19 September 2013: The Mole Mouse stopped dropping Ancient Relics with the Gnawnia mice population shift. 25 March 2014: The Mighty Mole Mouse was introduced as the Rift counterpart of the Mole Mouse. 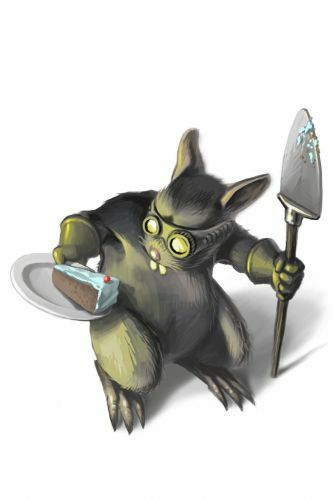 25 March 2014: The Mole Mouse gained a vulnerability to Rift power type traps, with the introduction of the Rift Plane. 2 September 2014: The Mole Mouse began dropping Packet of Flour at the Windmill. 23 June 2015: The Mole Mouse began dropping Ancient Relics again with the start of Season 3 of Treasure Hunting. 29 July 2015: The Mole Mouse stopped dropping Shredded Furoma Map Piece. 17 October 2018: The Mole Mouse changed mouse groups from Indigenous Mice to Digby Dirt Dwellers. This page was last edited on 27 March 2019, at 18:23.